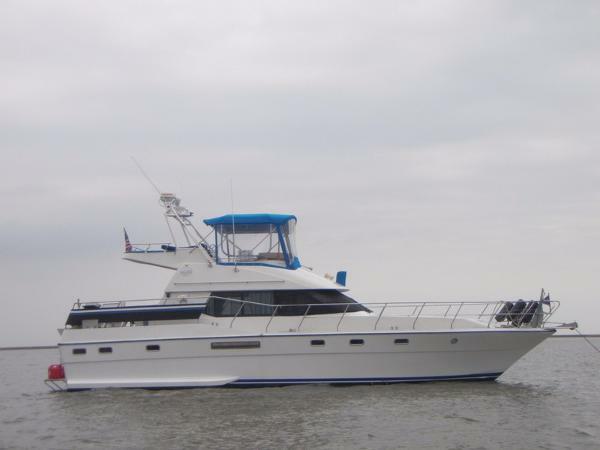 Boat has been extensively redone in the past year and is in near new condition throughout. Powered by a pair of 6V 92T1 Detroit Diesels. * new stereo and speakers... and much more! 2 luxuriously appointed staterooms with private heads with shower. 2 large interior salons to relax in. Wide side decks provide easy access to huge foredeck with sunpad. Large cockpit with wet bar, BBQ, fridge, icemaker, plenty of seating and space to entertain. Equipped with bowthruster for easy manoevering around the dock, this quality, high end express yacht will turn heads everywhere she goes. Call now for appointment to view. The Neptunus 54 Express is first in a range of deep V-hulled express cruisers. The contemporary lines, both exterior and interior, ensure Neptunus can customize any type of powerboat. Speed does not mean compromise, in luxury or in accommodating the client's wishes.